Last week we introduced you to a ‘Before & After’ series that we will be touring over the next month. Last week we revealed the master bedroom and this week we will share the the dining room with you. 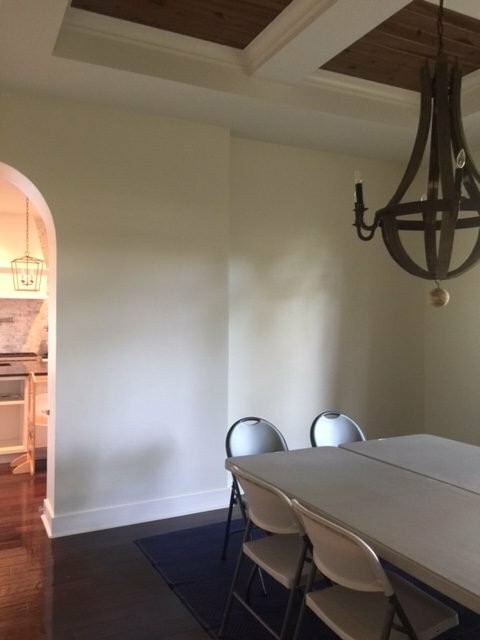 Like the master bedroom, the formal dining room was a blank slate. The only item in the room was the aged bronze and wood chandelier. 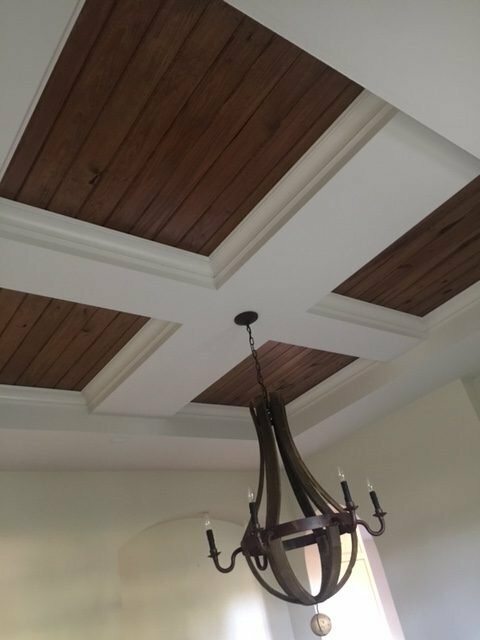 The coffered ceiling had a special feature with wood detailing in each panel. With such dark details in the space, we wanted to keep the furnishings light and elegant to fit our client’s tastes. The result is a elegant and sophisticated formal dining room. 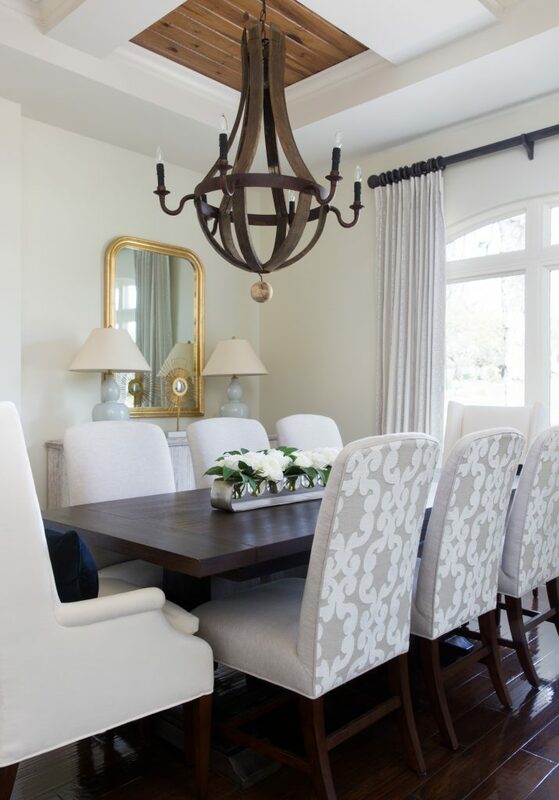 The dining table is stained in a dark cocoa finish, while all the seating is a upholstered in a light neutral fabric. The contrast of the light chairs and dark wood makes the space feel rich. Using a patterned fabric on the chair backs adds a custom detail that truly makes the space. Dining chair backs are what you will see most of the time, so adding a fun detail gives the space more interest. If you want to add character to your own chairs, adding a contrasting fabric to the back can give a fresh new look to your furniture. A gold framed Louise Philippe style mirror adds a traditional touch to the walls. Louis Philippe mirrors are large, stately, and known for their curved corners. They are a popular choice as they add a mix of tailored and soft lines to a room setting. The gold in the frame really pops in the space, especially against the dark wood and bronze accents. We have a few more spaces of this home to share with you. Be sure to follow along!